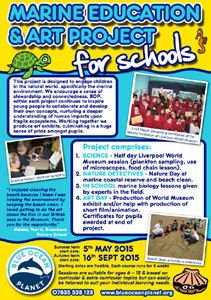 Science – Half day Liverpool World Museum session (plankton sampling, use of microscopes, food chain lesson). Art Day – Production of World Museum exhibit and/or help with production of short film/animation. Certificates for pupils awarded at end of project. Free Session from a choice of topics when project booked. 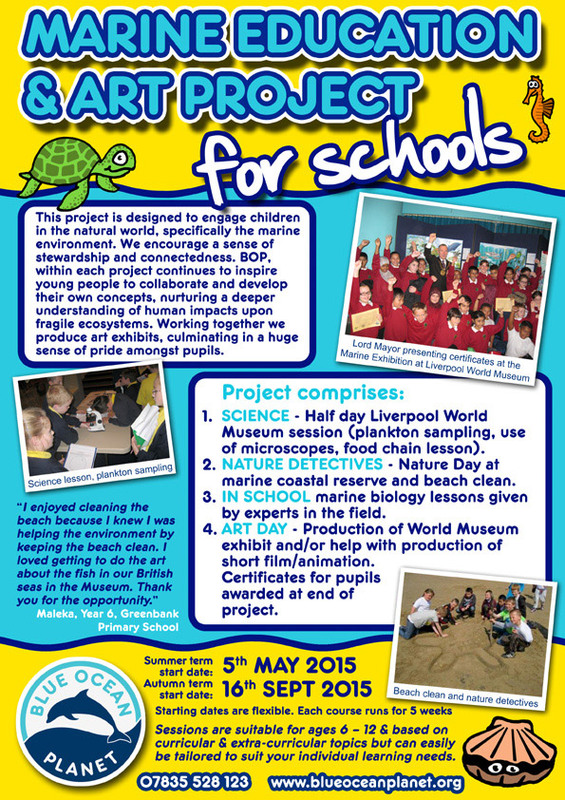 Cost of project, including all equipment, art materials and production of exhibit is £450. Starting dates are flexible for the first week. Each runs for 5 weeks. ← First Beach Clean for 2015!